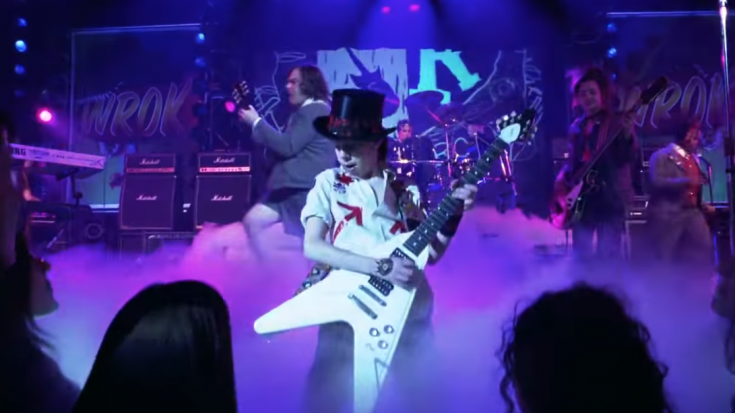 One of the most memorable characters in the movie School of Rock was recently arrested with felony charges involving what else? Guitars and amps. The 2003 comedy film starring Jack Black became a staple must-watch movie for every music fan. Rock fans are familiar with the film and the fifth grade private school character of Joseph Gaydos Jr. His role was as Zack Mooneyham-the timid boy controlled by his father, who gained an identity by learning the electric guitar. “Zack Attack’s” character has seemed to spill into the actor’s real life. Doubt that this is method acting because the charges that Gaydos has racked up are felony level. In an ironic spin on things, the actor has been arrested for stealing music instruments in Sarasota, Florida over a five-week period. Starting on January 31, Gaydos stole a guitar from North Port Music by conning the store employees. Police reported that the actor asked to play a blue Les Paul Epiphone Prophecy, worth $800– then ran out with it. He then used his driver’s license to pawn the Les Paul. Then on February 7, he chose to steal a black Fender Stratocaster worth $699 from Troll Music on East Venice Avenue. He used the same tactic as before to run out the door with the instrument. Again, Gaydos pawned it with his DL. The third incident occurred on February 11, when the School of Rock actor stole a Gibson Les Paul worth $1,899.99 from Sam Ash Music. This time- the store employees physically held down Gaydos when he attempted to run out with the guitar. When deputies arrive, he was arrested and admitted to the crime. The 27 year old committed theft once again on February 14 in Charlotte County. This time, Gaydos stole an amplifier with a redacted value. Deputies who interviewed the actor say that he admitted to all the crimes and blamed his behavior on drug addiction. The Punta Gorda actor actually has listed his occupation as “musician” on his arrest affidavits. Joseph Gaydos faces four counts of grand theft felony offenses and is currently in Manatee County Jail.